How do I use CodeMed? 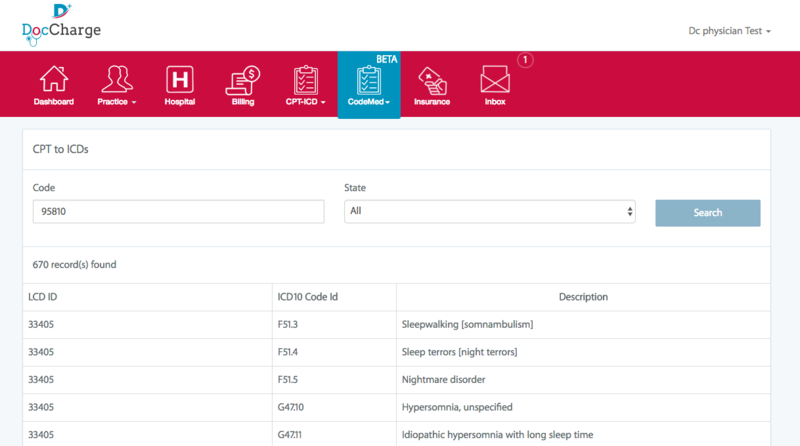 CodeMed(beta) is DocCharge's proprietary technology platform, powered by artificial intelligence, to streamline all coding and medical necessity information. This is to avoid claim denials and improve practice revenue. How can I access CodeMed? CodeMed can be accessed by signing into the DocCharge Portal using your desktop computer. Once you are signed in, you'll find the CodeMed Icon to be the 6th option from the left. What’s the LCD (local coverage determination for Medicare) for this CPT Code? Search by state (or all states) for the LCD. * Information will link directly to the specific document laying out all necessary information. *LCD documents are developed by the local Medicare carrier to outline medical necessity and billing requirements. Claims will be denied or audited for refund if these critical informations are lacking in billing and medical documentation. I have the LCD document ID! Search directly for the relevant information by typing the LCD (only the numbers without preceding ‘L’) in here. Information available include contractor information, ID, title, CMS National Coverage Policy, Abstracts and so much more. 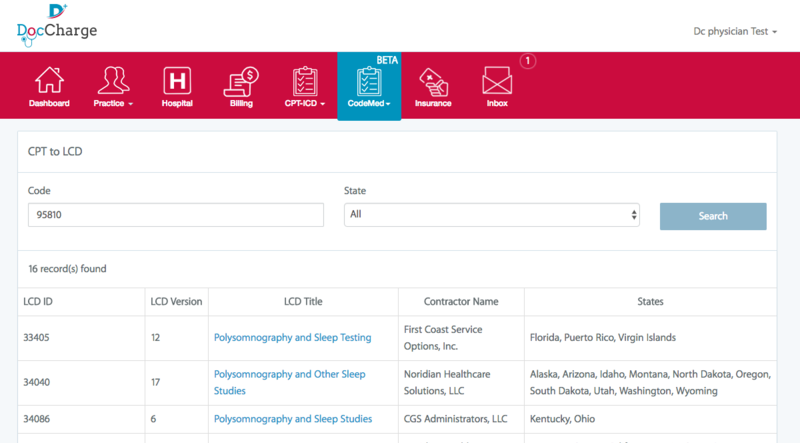 Can I easily find ICD Codes that supports CPT codes in claims and fulfills medical necessity requirements? 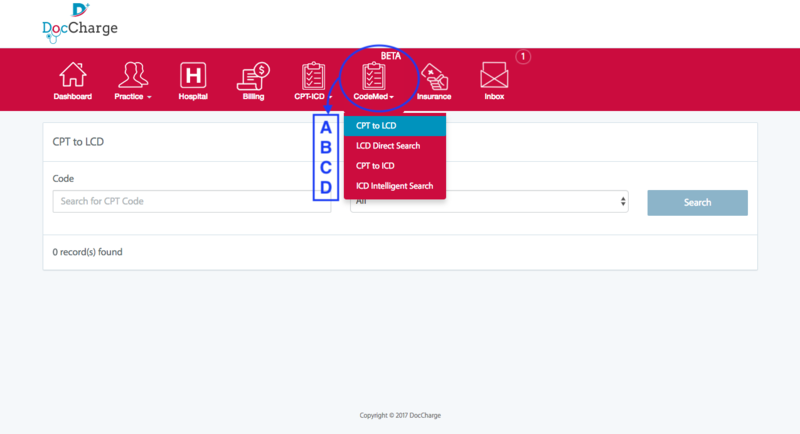 How do I find ICD codes easily to improve coding specificity? 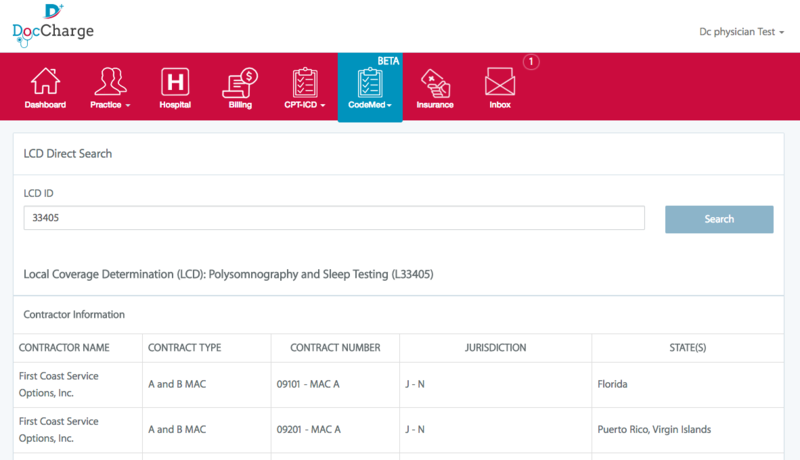 This is our artificial intelligence powered solution to improve coding specificity and avoid denials. 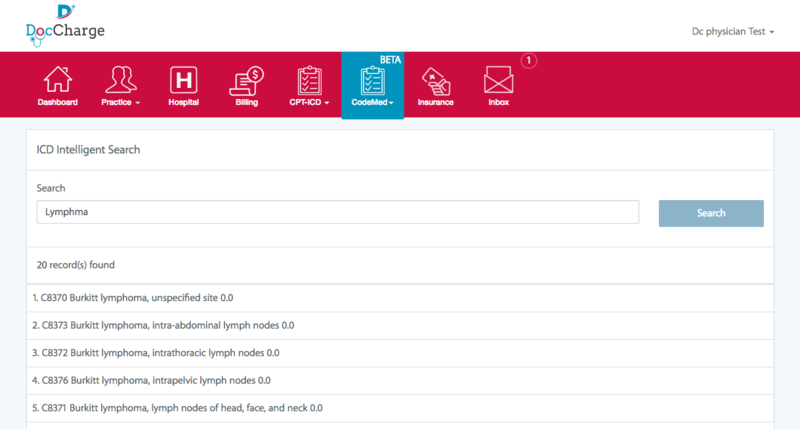 Search by medical diagnosis, terminology and/or keywords here, we’ll lead you to the correct code! Use a google-like algorithm to find specific codes for your use, even if it includes a spelling error. For a better view of the images and additional insight, please click here.